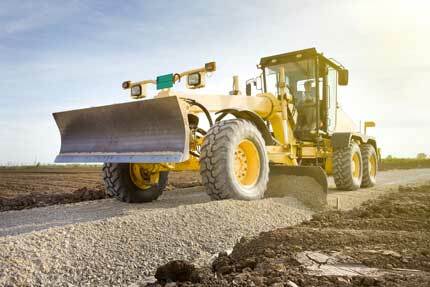 Drainage control is an important aspect of excavation and construction. The professional experts at Hal’s Construction understand that controlled drainage is important to client considerations for land use and development. Improperly controlled drainage can be devastating to land use, inconvenient to client operations and expensive to correct for customers. Hal’s Construction contractors and managers can negate problems associated with water collection and land development by providing the best services, advice and design implementation for client project needs. Bioswales are a great option for reliable stormwater management systems as they are efficient and reliable in controlled drainage of storm runoff in Portland, OR. This type of drainage control works well in tandem with other drainage techniques depending on your unique controlled drainage needs. Generally speaking, bioswales are intended to collect, slow, and filter storm runoff away from various places including parking lots and other paved areas, parks, residential complexes, highways, and more. 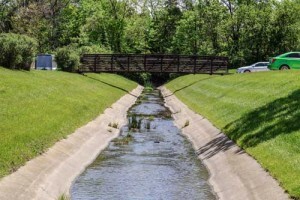 Once the bio swale has collected the excess storm water, the sediments of the water are secured by the soil and the remaining runoff is then dispersed into drainage pipes beneath the bio swale controlled drainage system. The drainage pipes are linked to the city stormwater system which will guide the filtered water to its final destination. Bioswales are wildly popular because they are an environmentally friendly bio filtration system for excess storm water in. Storm drains are engineered to collect and direct excess storm runoff away from populated areas and are known to be extremely successful for drainage control efforts. 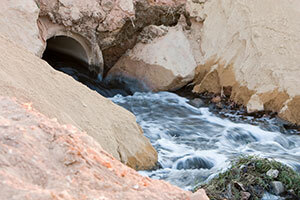 This drainage method is most commonly installed near parking lots, sidewalks, and areas with paved spaces. 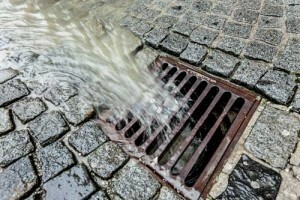 Hal’s Construction has the expertise to design a customized storm drain system for your Portland, OR commercial needs. Unlike bio swales that filter water sediments and silt before sending the water off on its way, storm drains direct stormwater to its final destination untreated. A detention pond, or detention basin, is a drainage control alternative in dealing with the collection and storage of heavy storm water. Detention ponds are intended to provide relief from intense rainfall by collecting excess storm runoff and they come in two distinct options; wet detention ponds and dry detention ponds. Wet detention ponds appear to be shallow ponds and typically have standing water year round. Dry detention ponds collect stormwater and delivers complete controlled drainage between 48-72 hours depending on the amount of rainfall. Catch basins are an integral part of the most effective stormwater management and drainage control systems in the Portland, OR and surrounding areas. These catch basins are usually installed curbside and act like large traps that collect debris, dirt, trash, and other miscellaneous items that may clog or inhibit drainage pipes from directing overflow storm water. Catch basins are effective in both large scale and small scale uses. Hal’s Construction will design you a full proof control drainage system that will strategically place catch basins in the most advantageous places to get the most efficient drainage control possible. Some catch basins also boast filtration systems as well. If reliable controlled drainage is important for your property, consider catch basin installation. Many folks in the Beaverton, Tualatin, and Gresham areas have discovered the many benefits catch basins provide to drainage control efforts call Hal’s Construction now to experience the difference for yourself. Rain gardens are an attractive alternative to other controlled drainage methods in Portland, OR. Like the name suggests, rain gardens are actually gardens that are a depression in the soil, that collect excess storm water which typically results in an array of bountiful local vegetation species. Rain gardens are best for smaller quantities of overflow stormwater and work wonderfully in drainage control efforts for modest sized properties. Call Hal’s Construction today to find out more about our exclusive rain garden design and installation services.